2018 North Korea March Tour. The application deadline for this tour is February 14 2018. If interested in extending your tour please send us an e-mail stating how long you would like to extend for and if there are any specific places / aspects of the DPRK you would like to see. 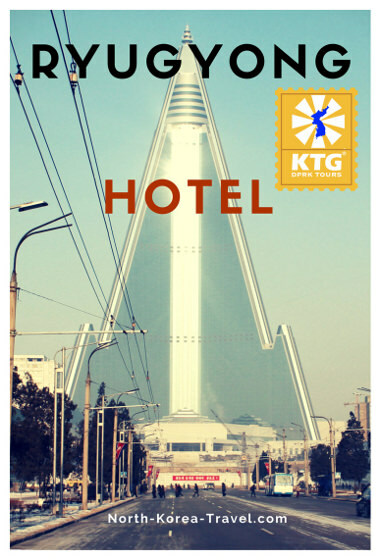 We will stay in one of the best hotels in Pyongyang, the Yanggakdo Hotel. Unlike budget hotels such as the Sosan Hotel, the Ryanggang Hotel, Haebangsan Hotel, Chongnyon Hotel, or the Changwangsan Hotel, the Yanggakdo Hotel has 24 hour running hot water with high pressure and common areas are not chilly, something that you will appreciate in the winter! Please note that our group tours tend to be small, with an average of less than 10 people, which we believe is, together with the presence of one of our Western tour leaders and long lasting relationship with our Korean partners and guides, essential in allowing you having closer rapport with the Koreans, more flexibility in the official program and an invaluable chance of interacting more with local people, something that is logistically not possible with large groups. If we have 19 people in a group we will divide it into two, each with their own guides, driver and vehicle in order to keep these small. Mansudae Grand Monuments - Giant bronze statues of the Leaders Kim Il Sung and Kim Jong Il. Please note that we are kindly asked to show our respects to the Leaders here. Please note that this is not a tourist site and it is a place of great importance to Koreans. You will be briefed as how to behave in Korea before the trip. 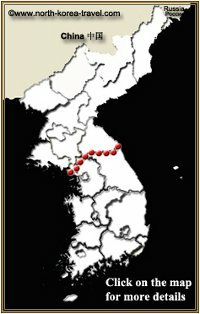 Depart to Kaesong (Panmunjom, the DMZ) - we leave Pyongyang early and will have a break on the 2.5 hour drive towards the divisionary line. There are several military check-points on the way and our guides will tell us when we cannot take pictures. Driving on the empty highway is an experience itself! Our Korean guides will explain to us the DPRK's principles for the reunification of Korea. 38th Parallel (DMZ) - chance to enter the famous blue negotiation rooms where talks between North & South Korea have taken place. Please note that if these are closed due to the DPRK and South Korea having any negotiation talks (as was the case in 2013) we will still have a close up look to the rooms. 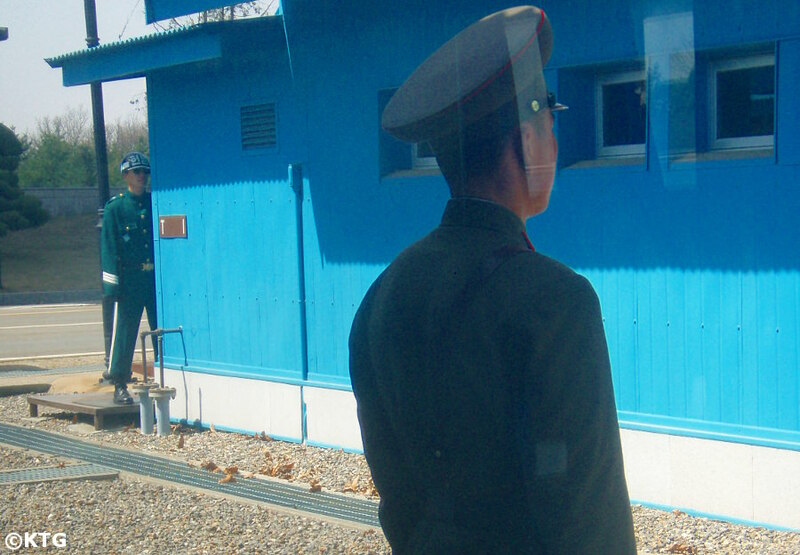 A North Korean soldier will hop on our coach and show us around Panmunjom. They tend to be quite curious about what foreigners think regarding the Korean War and the political situation of Korea. This is a unique chance to interact with a DPRK soldier. Lunch at Tongil Restaurant (Kaesong) - chance to enjoy a king's meal! Up to 12 small dishes will be served to each person, each dish in a covered, golden-plated bowl. 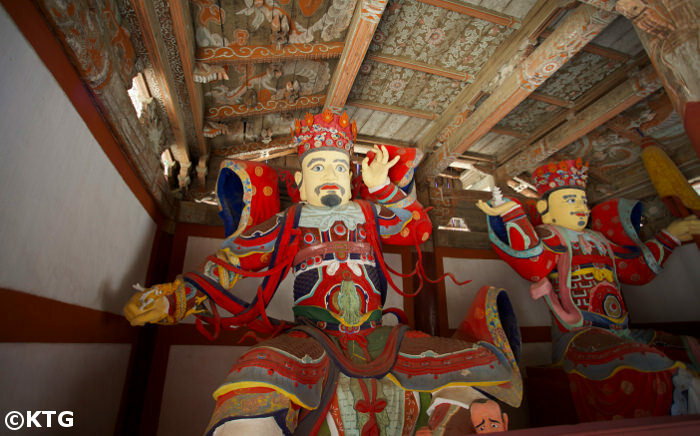 Koryo Museum (Kaesong) - Kaesong used to be the capital of the Koryo Dynasty. 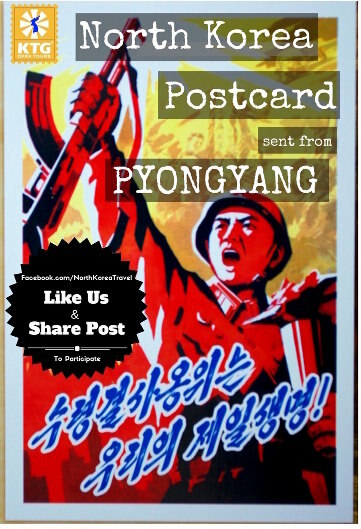 Kaesong Stamp Shop - apart from stamps in all forms and sizes, we can also purchase DPRK postcards (these can be mailed home from our hotel in Pyongyang), artwork, books, etc. Please note that you will also be able to purchase these at different points throughout the trip. Drive to Sariwon City - The capital of North Hwanghae Province is a lively city in the DPRK. Walk around Folk Street - we will be explained the history of the Korean Peninsula in the folk street. 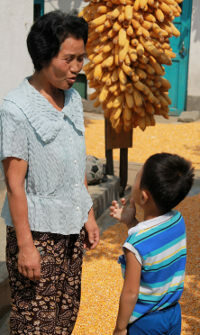 This area usually has a lot of local children who are always curious when seeing a foreigner. There also tend to be locals playing games and we are always more than welcome to join! Mount Kyongnam - we can walk up this hill to the main pavilion and enjoy great views of the city and of its surroundings. seeing a foreigner. 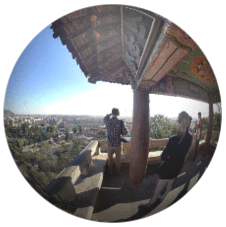 Check out our 360° image taken in Mount Kyongnam by clicking on the round image on the right! Try some local Makoli! - we will ask to have some local Makoli, sweet Korean wine, at a "Suljib" meaning "winehouse" in Korean. This drink has a very low volume of alcohol. Stop by the Re-Unification Monuments - An important symbol of the reunification of Korea. A stop here offers us a chance to take some pictures. The International Friendship Exhibition Centre - presenting thousands of presents given to the founder of the country President Kim Il Sung, his son General Kim Jong Il and his wife Kim Jong Suk. There is now too a section for the Leader Kim Jong Un. See what people and organisations from your country have sent! Victorious Fatherland Liberation War Museum (Korean War Museum) this was relocated in 2013 and is now a huge museum fully explaining the DPRK version of the Korean War with extremely explicit details. USS Pueblo - US spy ship, the only US vessel in possession of a foreign country. This was captured in 1968 and is shown as a trophy. It has now been moved to the outdoors section of the Korean War Museum. Kumsusan Memorial Palace - this is where the Leaders Kim Il Sung and Kim Jong Il remain in state. This is a very respectful place in the DPRK and formal clothing is required. We will fully brief you before your trip to the DPRK. Revolutionary Martyrs' Cemetery - dedicated to those fallen for the cause of the revolution. Situated on a hill, the views of Pyongyang are spectacular. Ride on Pyongyang Metro - one of the deepest in the world - extended ride. 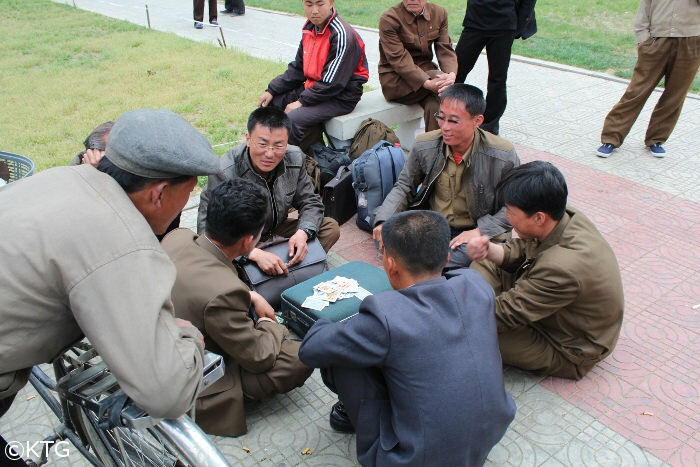 Join locals and explore the Pyongyang subway system. The carriages were purchased from former East Germany. The metro decoration is amazing as well as the fact that we will go around 100 metres underground! Arch of Triumph - brief walk around the area. We can see the Kim Il Sung Stadium from here and the giant mural showing a young Kim Il Sung giving the Liberation Speech. Moranbong Park, weather permitting - where locals gather. Do not be surprised if, in the case of there being any dances, you are asked to join in any of the dances! 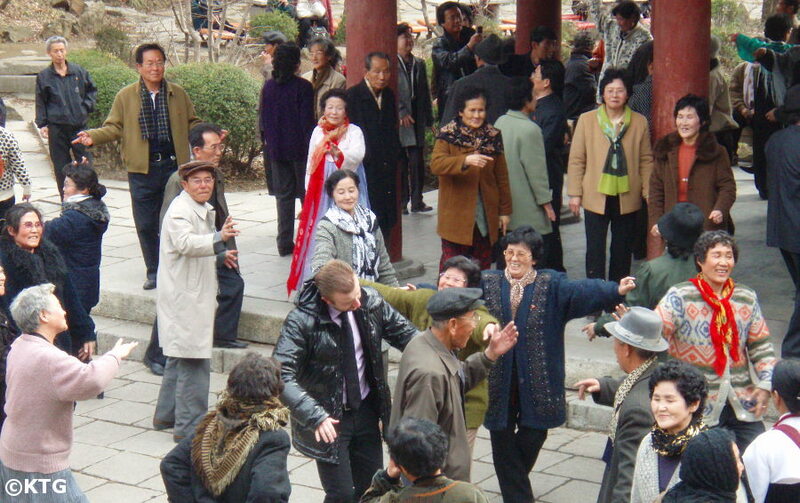 With a very limited number of foreigners visiting the DPRK each year, the site of westerners in North Korea is very rare. Walk around Kim Il Sung Square - located in the city centre, this is the places where military parades and mass rallies (those that we usually see on television) are held. DPRK Bookstore - chance to purchase DPRK publications (including the Pyongyang Times) translated into different languages. Juche Tower - we go up the 150 metre tower (170 metres including the torch) that offers a panoramic view of Pyongyang. Workers' Party Foundation Monument - consisting of the Workers' Party of Korea's symbol; a hammer, sickle and brush, all rising 50 metres high in the sky. Paeksongri Revolutionary Site - site where the most prestigious university in North Korea, Kim Il Sung University, was moved to during the Korean War. We will see where President Kim Il Sung met students and how he encouraged them during the war. Central Square in Pyongysong- we can walk around the square where we can read the Korean slogan "Single Minded Unity" (literally translated as "One United Heart"). We will also be able to see the bronze statue of a young President Kim Il Sung. You can see a short clip in our Youtube video below. Pyongsong Local primary school in Pyongsong - we will be shown around the school by its headmaster and will be able to join a lesson where you can let the students practice their English with you if you like, or like KTG's staff member Tim Harrington, below, challenge the students to a game of Ping-Pong! Paeksong Food Factory or Taedonggang Textile Factory - unique chance to see a DPRK factory. 2018 North Korea March Extended Tour Farewell Dinner - Hotpot restaurant, Pyongyang (located just across from the Romanian embassy). Those ending the trip in Beijing will take the overnight train (with beds) and arrive in Beijing the next morning. Please go to our North Korea tourism page to see more information on other tours that we offer other than our North Korea March Extended Tour. New! 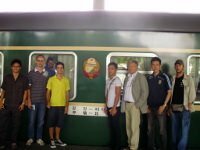 Korean Language Course in Pyongyang! 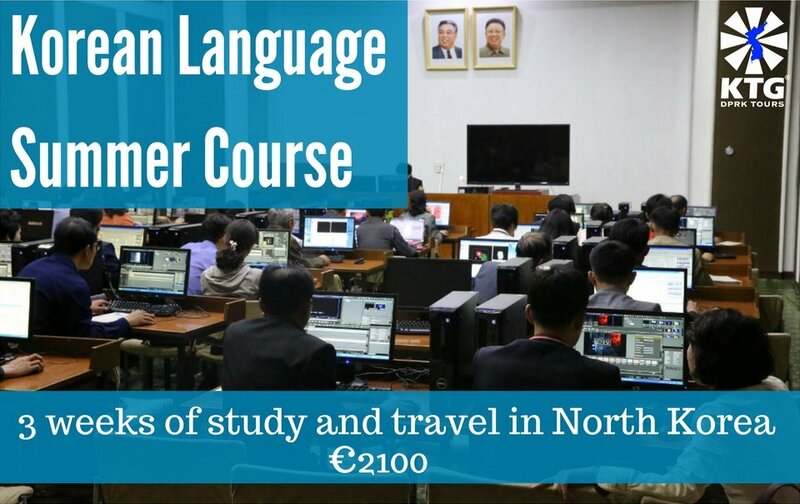 Spend up to 25 days Studying and Travelling in North Korea! 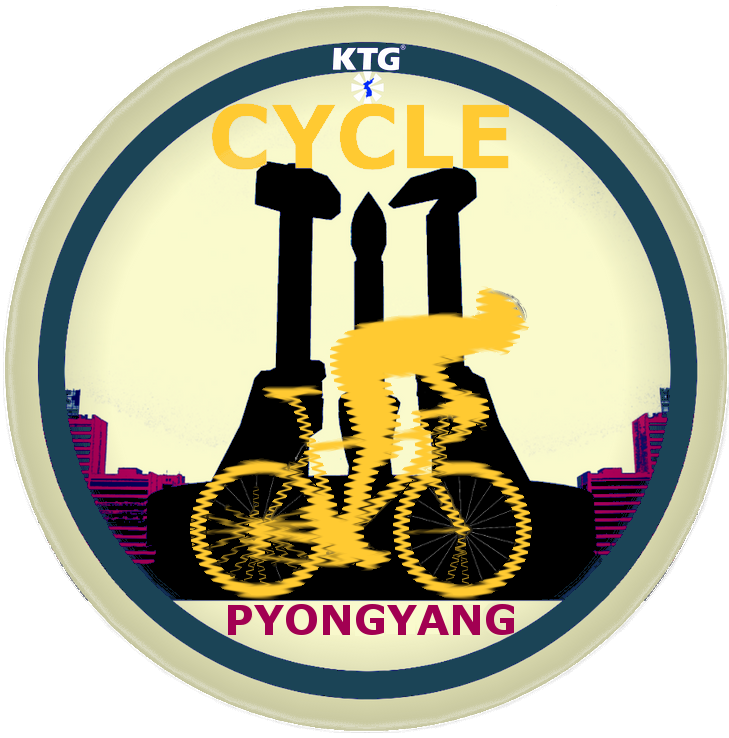 Explore Pyongyang on two wheels! Bike trips available for all tours! 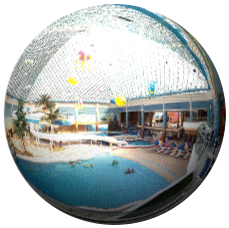 Like Us & Share on Facebook! 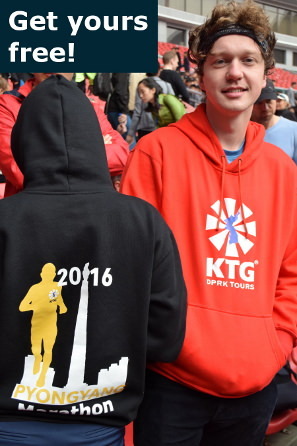 Sign up today for early booking rates and a free KTG hoody! Sign up today and get a free hoody! 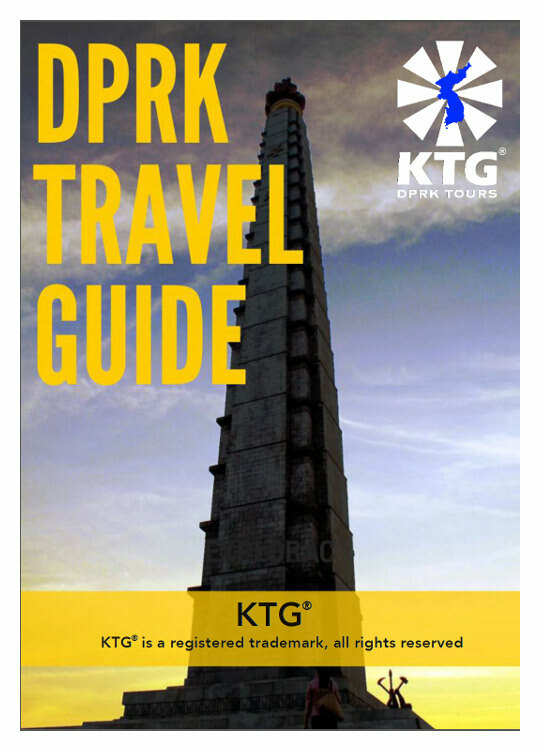 DPRK Tours available all year-round! 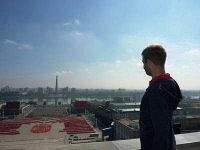 "The whole experience was actually even better than I thought, especially the Mass Games which I can’t even find words to describe." P. Simon - attending the Ocotober 10th Military Parade rehearsal "We had a very enlightening trip and were most impressed with how well organised it all was...and would not have changed anything..."
Please check our forum for more reviews, questions & comments. Upload your own pictures and reviews!